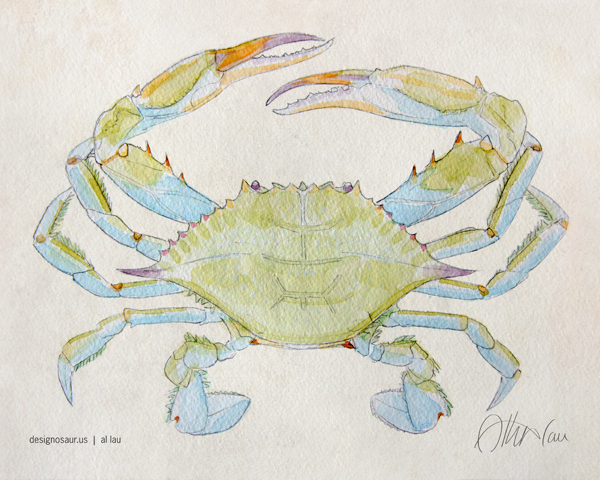 This is the latest version of my watercolor of the blue crab. I am glad with how it turned out. And guess what. The print is available in my little store . They will be selling like hot Crab Cakes. So get your print today while supplies last! 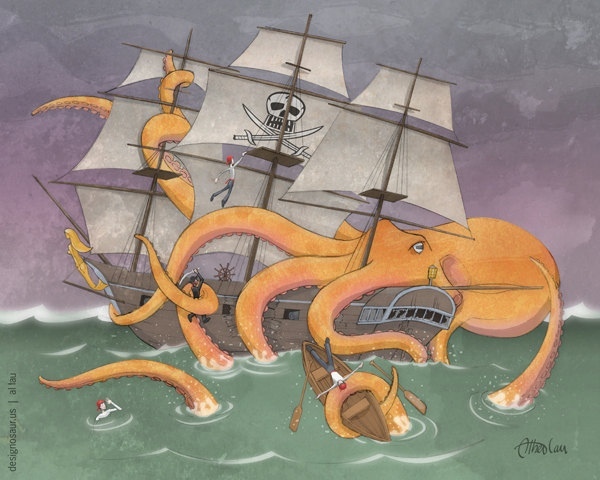 In the 17th century, there is a story in the high seas, where many a sailor’s life was swept away, not by the hurricanes and white squalls of the angry oceans, but rather, by a great sea creature, known as the Giant Octopus. As night falls, the monster’s tentacles slithers aboard the Buccaneer, capturing every sailor, one by one, as a scrumptious morsel. Even the courageous captain defends his honor, with scimitar in hand, only to go down with his ship. This is an updated version 2 of my illustration. My pen and ink drawing of sea life found in the Devonian period, 416 to 359 million years ago, during the Paleozoic era. A print of this is for sale at my shop.